Anna is the President and Founder of Tillid Group. Anna is an attorney with extensive investigation, litigation, and monitoring experience. Anna has managed and worked with large teams to identify and address areas of misconduct across a broad range of industries. She also has significant experience developing creative and individualized solutions for organizations to address areas of misconduct that have been identified and are required to be changed by Consent Decree, regulators, or through proactive reviews by the organization. She has unique experience in addressing and implementing reforms as a result of impact Civil Rights litigation. Anna served as co-lead Plaintiffs’ counsel in the landmark federal class action Nunez v. City of New York et. al., where she played a critical role in the development and negotiation of the Consent Decree. She was subsequently appointed as the Federal Deputy Monitor of the Nunez Consent Decree to oversee and advance those reforms in the New York City Jails. As the court appointed Nunez Deputy Monitor she is responsible for the day-to-day operations of the Monitoring Team, which is charged with advancing reforms to reduce unnecessary and excessive use of force and the management of 16- to 18-year old inmates in the New York City Jails. She manages and drives the team’s work advancing a series of complex requirements to improve the Department’s operations, policies and procedures, staff training, investigations, staff discipline, and approach to working with youthful offenders. Prior to her appointment as Deputy Monitor, was an attorney with the international law firm Ropes & Gray. While an attorney at Ropes & Gray, her practice focused on representing individual and corporate clients in civil, criminal, and regulatory enforcement actions, and civil and criminal litigation. She also advised clients on matters involving fraud, anti-corruption, and antitrust. Anna also led and developed anti-corruption risk assessments, proactively working with clients across industries and geographies to identify and mitigate identified risk. 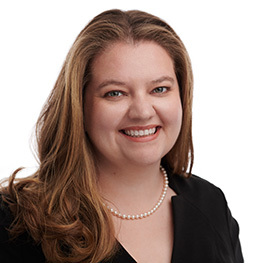 After graduating law school, Anna served as a Judicial Law Clerk for the Honorable Barbara S. Jones, U.S. District Court for the Southern District of New York.